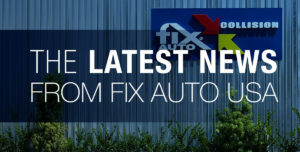 At its first quarter meeting, Fix Auto USA ratified the roster of Members on its Market Leaders committee. Their charter is to represent the needs of franchise members in their respective markets and advise the Fix Auto USA Executive Management team on business issues affecting the network. The Market Leaders have been in existence since Fix Auto USA initiated its franchise system strategy in 2011 and has been a key component in building Fix Auto USA into one of the preeminent collision repair brands in the US.